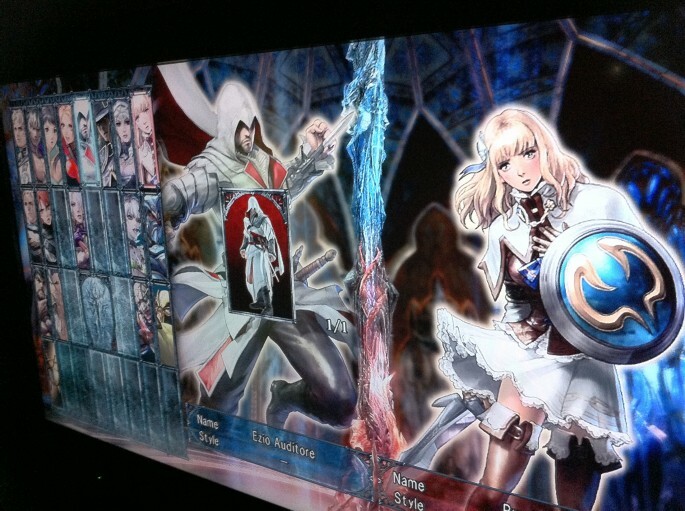 If a recent leak is to be believed, then Ezio will be taking his talents from Assassin’s Creed and applying them to the upcoming Soul Calibur V. PS3Blog recently liveblogged a Namco Bandai event, in which they displayed an image that appears to verify Ezio has a playable character in the game. The image has since been taken down but the damage has been done and the leak has made its way all over the net. It is a toss up around the internet over whether this is legit or some sort of photoshop wizardry. Namco Bandai is known for going to other publishers and borrowing characters for their games, such as Kratos from God of War, so this wouldn’t shock us if it was true. We also think Ezio would make a solid addition to the already deep cast of characters and hopefully this turns out to be a truthful image. The liveblog also mentioned that the game would be releasing on January 31st 2012, though that is also up in the air on whether it is true. Is Ezio a good choice for the game and if not, who would you rather see?